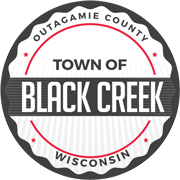 The Town Board of the Town of Black Creek, Outagamie, Wisconsin, hereby provides its written notice and an agenda of the public meeting for Monday, July 11, 2016, at 7:00 p.m. with the public meeting of the Town Board to be located at the Black Creek Town Hall, N6051 Twelve Corners Rd, Black Creek, WI. The Town Chairperson or designee has provided communication of this public meeting by a posted meeting notice. 5. Approval of Prior Town Board Minutes by the Town Board. 6. Report from Town Officers/Town Employees. 9. Specific Matters for Discussion and Possible Action by the Town Board in Open Session. —Town Ordinance Needed for Fire Dept. to Bill Insurance Companies for Runs. 10. Correspondence Taken Care of.